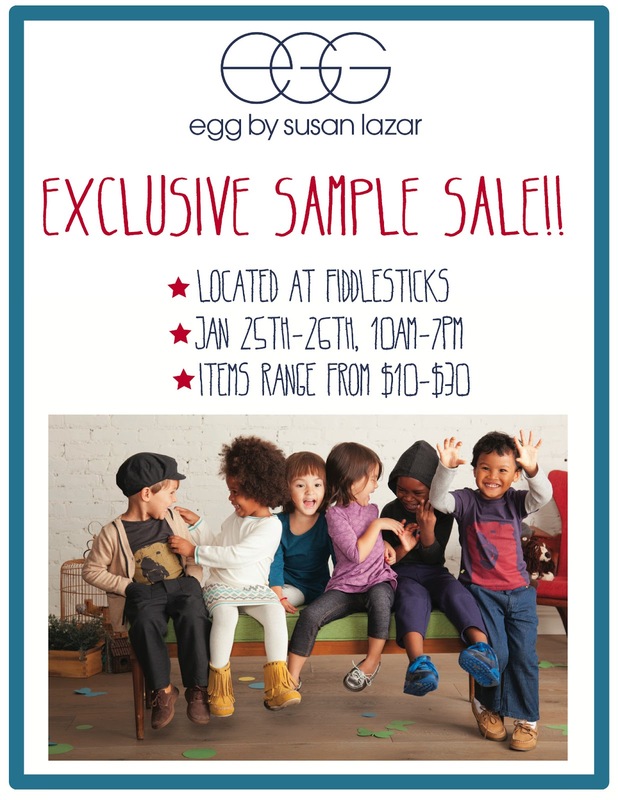 Join us for an exclusive Egg Baby Sample Sale at Fiddlesticks! Sizes will range from infant to 6 years old, boy & girl. Prices will range from $10-$30. We are thrilled to be their west coast store hosting this fabulous sale! January 25th-26th, 10am-7pm. Egg Baby, designed by Susan Lazar, is a modern and beautiful collection with great detail to quality. Their textile prints are whimsical yet sophisticated, and their graphics have always been must-haves through the years. For those of you who haven't discovered this amazing brand, this is a great opportunity to get to know them!